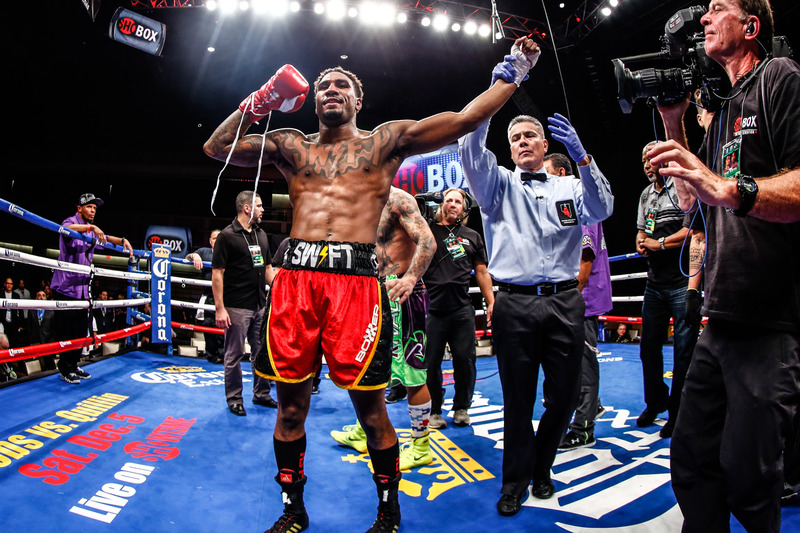 Undefeated IBF junior middleweight champion Jarrett Hurd 21-0 (15) says he has been studying WBA “Super” champion Erislandy Lara 25-2-2 (14) for some time now and is looking forward to laying his hands on the veteran when the two meet ) this Saturday night at the Hard Rock Hotel and Casino in Las Vegas, Nevada, live on Showtime. “Lara has been the longest reigning champion and he was on top when I first turned pro. We’ve studied him a lot. I didn’t get into this sport to be anything but number one. Lara is the top guy, but after Saturday night, it’s going to be me,” said Hurd, who won the vacant IBF title against Tony Harrison in February last year and successfully defended it against Austin Trout in October. “It’s been a great training camp. We’re well prepared. This is the fight I’ve been asking for. After I beat Tony Harrison, Erislandy Lara had some words on Twitter for me. So I’ve wanted the fight since then. Somebody has to pay for that. “This fight is coming at the right time for me because my confidence is very high right now. He’s a little older so I’ll be the younger and fresher fighter. I just feel like it’s my time. I’m going to be relentless. I’m not stopping until I get what I want. “Lara is a veteran with a lot of experience. He knows how to win rounds and he can make you look bad no matter how good you are. I’m going to use my own awkward style and do what I do best. “With my power and skill set, I can stop any fighter in the division. That definitely includes Erislandy Lara. “Lara has great discipline in his game plan. No matter if he’s up on the cards or down or anything, he’s not going to switch it up. It’s hard to break a fighter when they’re disciplined like that. We have a plan for everything though and we’re confident that we’ll come up with something that will get us the victory. “Lara is a guy who can’t take pressure fighters well. I have some of the best pressure in the game. I’m younger, stronger, taller and longer. He’s not going to be able to run for 12 rounds.